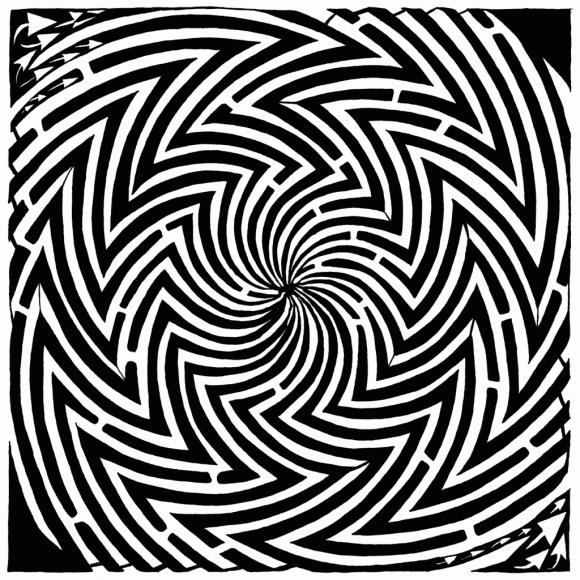 When I tried solving it a few times, this optical illusion maze kept moving on me! Now, I know that it wasn’t really moving, but it sure looked like it. I still haven’t solved it, and truth be told, I’m beginning to wonder if there really is a solution! I’m also not quite sure if we’re supposed to follow the black lines or the white lines. every time I try to follow either one, I get stuck. I do know that you need to enter this optical illusion maze in the upper left corner and exit in the lower right corner. Unless you do mazes backwards, like I do sometimes. If this optical illusion maze was just too much for you, don’t feel bad! I haven’t been able to solve it either. There’s a much simpler penguin maze you can try, though! There is a solution! You have to follow the white line. I don’t think dere is a plausible solution. there are breaks everywhere X?